Getting around New York City might seem like a daunting task. Traffic and crowds, combined with the fear of getting lost can make it seem overwhelming. But it doesn't have to be that way! The information below will help you navigate the city's subway and buses. You'll feel like a local in no time! New York City mass transit generally falls into two categories: buses and subways. For most visitors, the New York City Subway will make getting around easy, efficient and inexpensive. 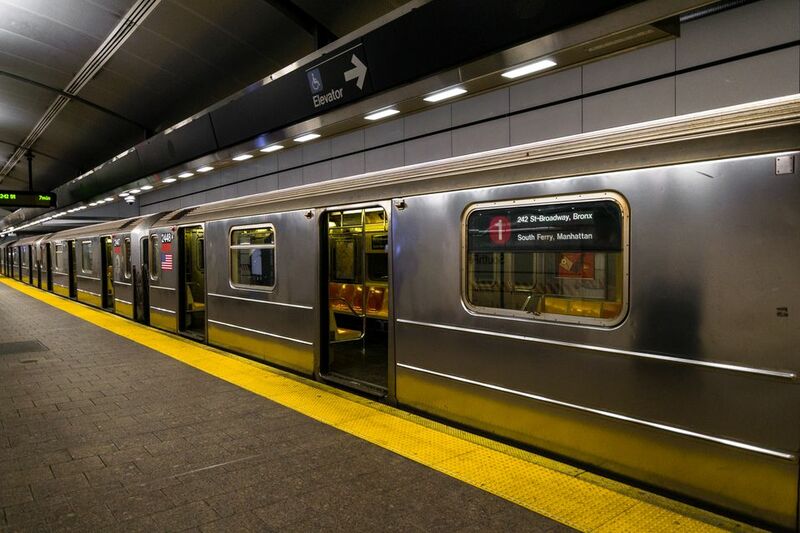 Subways serve most of Manhattan and the outer boroughs very well, but in those areas where the subway service is not ideal there are buses that can get you where you need to go. You'll find buses are particularly helpful when you need to travel to the far east or west portions of Manhattan. New York City subway and bus fares are $2.75 per trip (single trip tickets are $3). (Express buses, which primarily serve commuters from the outer boroughs, run directly into the city for $6 each way.) The MTA has discontinued the one-day "Fun Pass" that offered unlimited subway and bus rides. For visitors staying more than a couple of days, you can buy a one week unlimited MetroCard for $31 or an unlimited monthly MetroCard for $116.50. The 7-day, or 30-day unlimited MetroCards run out at midnight on 7th or 30th day of use. You can buy MetroCards at subway stations with cash, credit or ATM/debit cards. Buying a new MetroCard (whether unlimited or pay-per-ride) also requires an additional $1 fee. Be aware that buses only accept MetroCards or exact fare in coins -- drivers cannot make change. There are also some buses along major routes in Manhattan & the Bronx that have you pay your fare before you board to speed the process of boarding. It's called "Select Bus Service" and the kiosk for pre-paying your fare is usually very obvious and easy to use. In general, New York City subways run every 2-5 minutes during rush hour, every 5-15 minutes during the day, and approximately every 20 minutes from midnight until 5 a.m. If you're traveling on the weekends or late at night, you should be aware of service interruptions that might impact your trip. Taking a few minutes to review the planned service changes can save you a ton of hassle. I can't tell you how many times I have walked an extra block or two to catch a train that should get me to my destination faster only to find that service is suspended on that line for the weekend. There are usually signs posted in the subways or at bus stops alerting you to the service changes, but knowing in advance can help you plan better. Another good tool is to check Google Maps; the service knows about delays and can find you the quickest route.